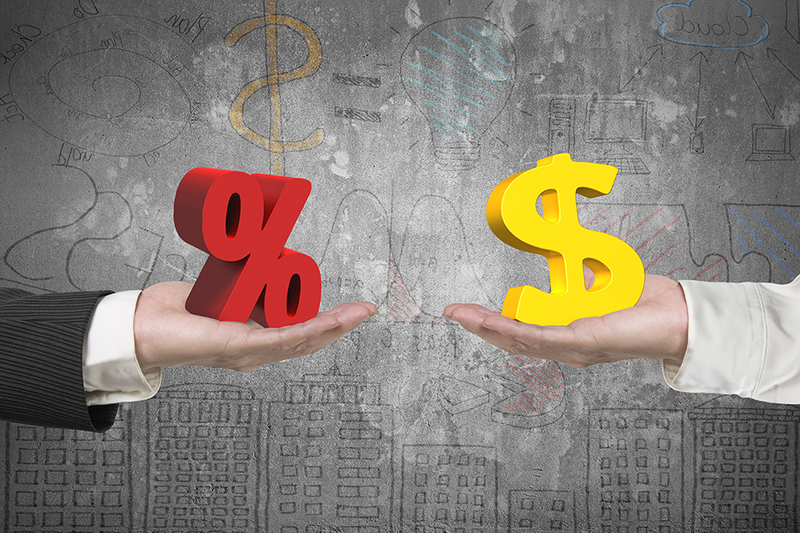 Starting off 2019, interest rates are staying low but the Reserve Bank may have a trick up its sleeve that could have a downstream influence on the great fix versus float debate. Brendon explains. There has been some post-Christmas sharpening of home loan interest rates. You will see a 3.99 per cent for one-year and two-year loans currently being advertised. This normally applies for "main bank", owner-occupied clients (in other words, not for low deposits or investor-only clients). From an economic perspective, there doesn't seem to be any upward pressure on these rates for 2019. Interestingly enough, the only pressure that may come to bear is a potential Reserve Bank/government regulation requiring banks to hold more capital. The Reserve Bank has suggested that the percentage of "money [that] banks have in hand per amount of loans outstanding" may need to increase to better protect the banking system from any economic shocks (known as capital adequacy ratios). If this is implemented, it will effectively increase banks’ running costs. Unless the shareholders are willing to take lower returns (??!! ), then the customer will pay—at banks, this means increases in interest rates. So, should you fix or float? Securing an interest rate under four per cent isn't bad! Up until now, most of our clients have been fixing for one year because that was the lowest rate and because the expectation was rates would stay low for another year, giving time to re-fix in a year for a still low rate. The only spanner in the works to this approach is the possibility of the above regulatory change, which still remains to be seen. The potential for changes introduces some uncertainty to the mix and some of our clients may choose to minimise that risk by fixing for two years, at what is now a great two-year rate. Be aware that all clients won't get that exact rate, as it is case-by-case, bank-by-bank. If you have good equity, you should be getting close. Note also that everyone is different, so how long you fix your loan for may be different than the next person. Also note that it is often wise to keep some flexibility. Channelling any cash surplus to your home loan in a smart way can surprise many with the difference it can make. We can work that all out for you. And the winner is … drum roll please … fixing! Fixing for one year to be precise. But, yes, as always, it does depend on your situation. The good news keeps coming for those with home loans. Not great news if you have money in the bank savings accounts though. Interest rates continue to nudge down through the month and there have been significant decreases in the three- to five-year fixed rates in particular. However, there are a number of reasons why most banks and economists are still seeing the “sweet spot” at a one-year fixed rate. Most of our clients are fixing the majority of their loans for one year and many are leaving a small amount in some sort of floating rate (revolving credit or offset accounts) to provide for flexibility/debt reduction. In making these statements, the disclaimer of course is that every situation is different and unique, so a conversation with your adviser is key before settling on an interest rate strategy. The one-year rate is the lowest on the market and, for an owner-occupied property with 20 per cent equity, we are seeing rates of 4.1-4.2 per cent (the 3.99 specials have gone for the mean time). The Reserve Bank governor has indicated any change in the Official Cash Rate (OCR) is likely to be mid 2020. Again the Reserve Bank has indicated the next move for the OCR is as likely to be down as it is up. Although noting there are other things that affect home loan interest rates rather than just the OCR, it does have a major impact. Given the above (and of course, who knows what unpredictable market shocks will occur?) fixing at the lowest rate and having a really good chance of being able to fix at low rates in a year’s time seems like a sensible strategy for most. Do let your adviser know before you re-fix your home loan for another period. We can get some rates from the bank for you to consider and talk through your best strategy.